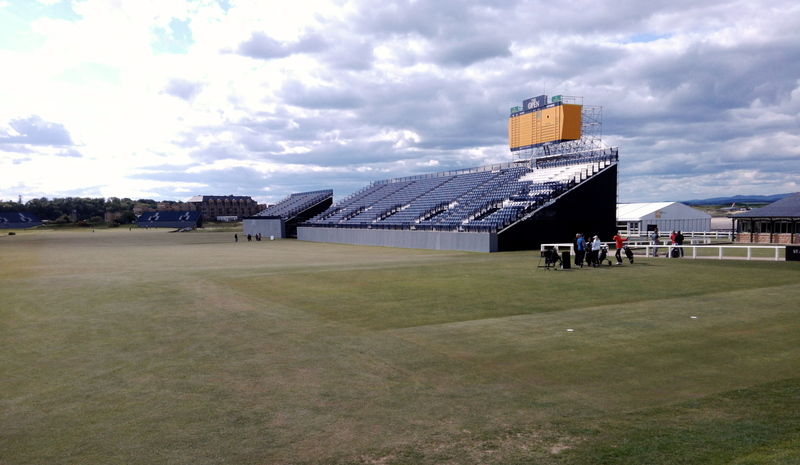 This post from Liam Frean is the third in the Living as a Links Golfer section of the site. The section will grow as Liam lives the life of a student golfer in St Andrews, Scotland! This month has been exceptionally busy. It has been filled with exams and having to say goodbye to friends as they go away over the summer. Unfortunately, it has been so busy that I haven’t picked up a golf club in 3 weeks, which is beginning to feel more like 3 decades. 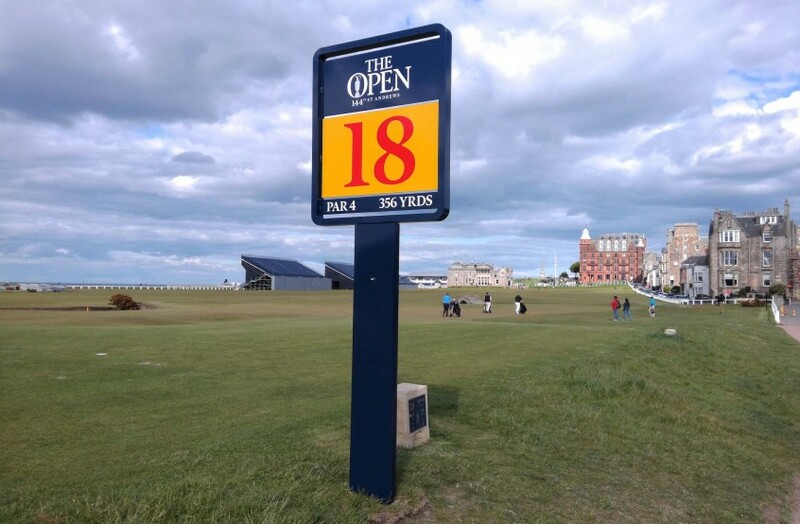 The Open is really beginning to take over St Andrews with the golf shops filling up with Open memorabilia and the town filling with golf tourists wearing the new waterproofs they suddenly find themselves needing. While this is happening, I have to hold off the excitement as I start a full time job for the first time in my life, all be it for 3 months. I am having to grow up and I don’t like it! The first thing I did this month, and I mean first as in 4am on the first morning of May, was May Dip. The brilliant idea of the May Dip is to all go to East Sands (a large St Andrews beach seen below) and strip off so that one can run into the North Sea. At 4am it is so cold that not even politicians could blow hot air and Scotsmen start wearing pants. When I managed to submerge myself I felt as if my lungs had permanently stopped working due to the cold hitting me so hard. I decided that 3 minutes of being in water that cold was more than enough, so I decided it was best to head back. Unfortunately, on the way back there were lots of people sporting less than a banana hammock, which wasn’t pleasant for the viewers or the person in question. The main reason myself and friends participated in the outrageous event was that we had committed an academic “sin” of sorts. My only conviction was stepping on the PH outside the cathedral on North Street, which is a traditional cobbled area on which students are not allowed to stand. Some of my friends’ rap sheet was far more extensive, partly due to some of their previous “interactions” with academic family (another St Andrews “sin”). The May Dip cleanses you of your sins in a way that does not let you off easily. It was amazing to see thousands of people running into the water at the first sunrise in May. Nobody was going to risk not cleansing themselves before exams, which is when sins will come back to bite you. The hardest thing to do was to warm up after getting back, with myself and my friends all competing for showers. After wrapping myself up it was time to catch up on the sleep that I had lost out on. I had the pleasure of waking up to see that I had dragged in most of East Sands. Even though it is an outrageous tradition, it made you really feel part of the student community, especially when watching the sunrise with everyone else. My exams I would rather not talk about. 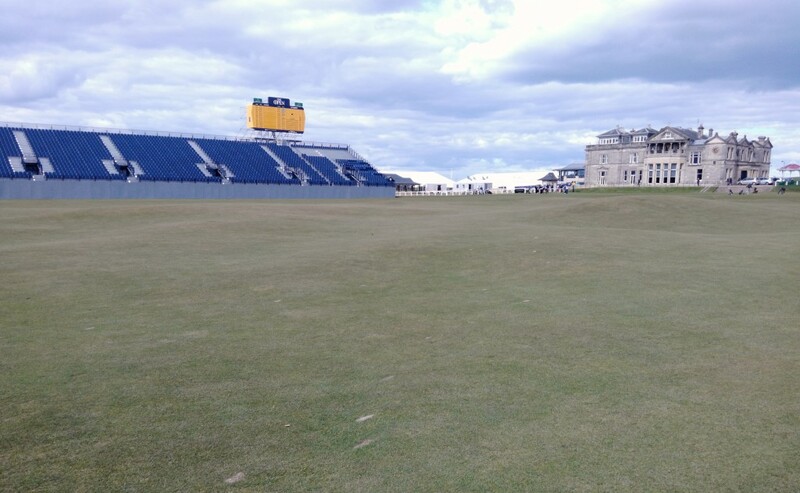 However, I was exposed to another very strange tradition called “soaking,” which, like many traditions in St Andrews, the origins are unknown. A soaking takes place after a friend has just finished their final exam at university. Friends line up and soak them with buckets of cold water, hence the name. Although this tradition is certainly weird, it had a really nice feeling to it as students said goodbye to their friends in a very St Andrews way. May has been full of leaving and not just the stuff that comes from textbooks. I’ve learnt that the North Sea is exceptionally cold, most traditions here involve a good chance of getting hypothermia, and that exams are the devil. 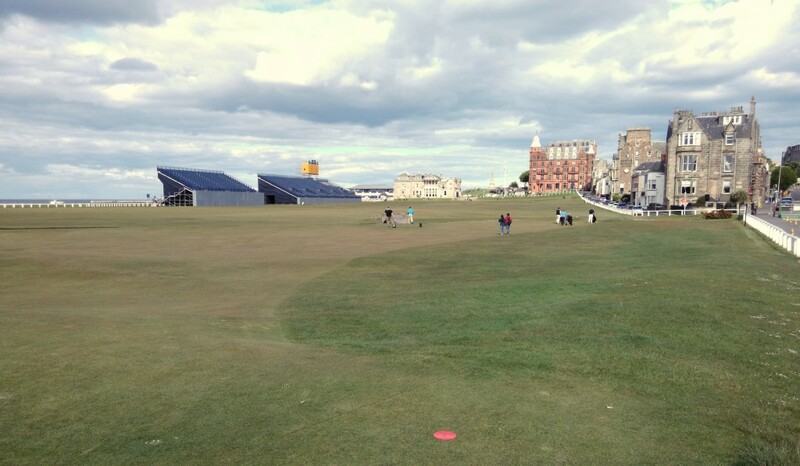 Now I am waving goodbye to first year and looking forward to my summer in St Andrews. 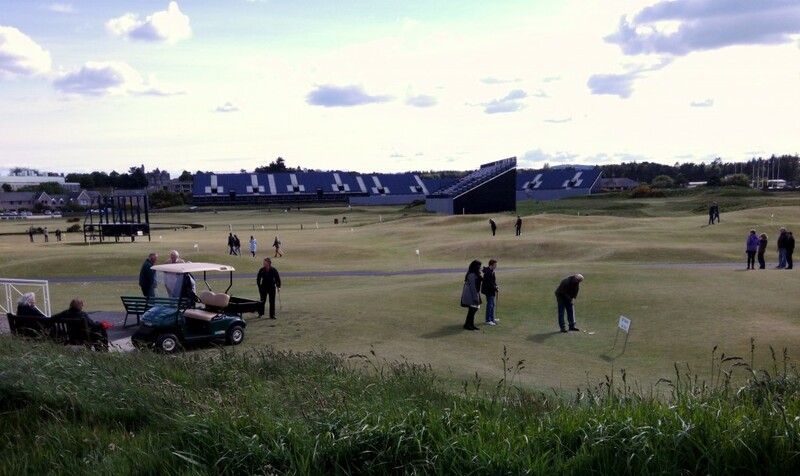 *Thank you to Lucy Buckland for the photos of St Andrews preparing for the 144th Open Championship! What Makes Golf in Dubai So Special?